One Day More Fitness Blog: 25 Days Low Carb/Keto and Turning "I Can't Have That" to "I Don't Want That"
25 Days Low Carb/Keto and Turning "I Can't Have That" to "I Don't Want That"
I think this right here is what's making me stick to the plan and succeed this time around. 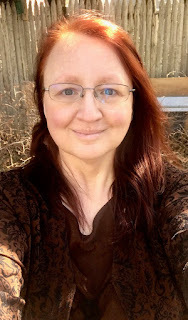 As of today I am twenty-five days into low carb/keto with no cheating and I am loving how I feel and how I look. But why am I succeeding now after failing over and over again for a good year? Well, partially the idea of not cheating at all and partially the concept above. 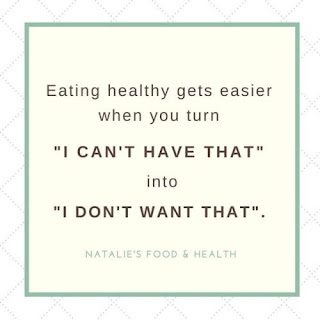 Not cheating and making the right choices is so much easier now that I don't look at junk food and high carb foods and think... "it's not fair that I can't have that!" and then feel sorry for myself and then give in. Instead I look at the food and think, "nope, not for me because I'm choosing not to eat this" and I move on. I feel like letting go of that "unfairness" and that feeling of denial and punishment has been incredibly empowering to me. I'm in charge, not the food. I make the decisions, not the cravings. I control myself, not my carb and sugar addiction. It's a shame it took me so long to get to this point but I learned something in everything that I did so instead of looking at this as a wasted year, I'll look at it as a year of learning about myself, my emotions, my eating, my strengths and my weaknesses. Choosing not to have something that will mess up my plan and my success is so... I guess I'll use the word "empowering" again. I feel like it frees me from the obsessions and the addiction and the longer I do this, the easier it gets. Not cheating has totally shut off that binging switch in my head and that feels amazing! 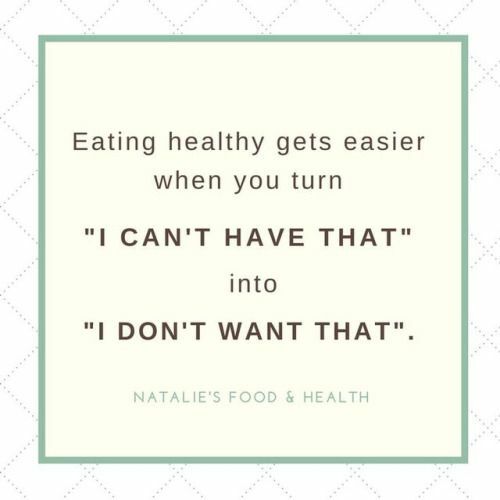 Sure, I know that food would taste great, but how it would make me feel and the weight I would end up gaining just makes it not worth it at this time and I don't see myself changing this way of eating anytime soon. Maybe a day will come along when I allow something I don't normally have into my day, maybe some kind of special occasion, but, again, that will be my choice and my decision, not something that's guided by cravings and addictions. And I love that I have that kind of control now. It makes all this hard work worthwhile!